Find out how to use Tableau to turn your data sets into richly interactive dashboards to share with your audience. Whether your goal is to explain a particular insight or let your audience explore for themselves, Tableau's simple drag-and-drop user interface makes the task easy and enjoyable. In this webcast, O'Reilly author Ben Jones will use an example from his new book, Communicating Data with Tableau, in which the growth of the internet worldwide is visualized in multiple ways. Ben Jones is the Sr. Tableau Public product manager at Tableau Software in Seattle and he is also a data blogger at DataRemixed. 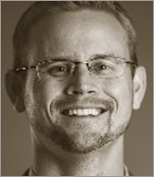 Ben is the author of "Communicating Data with Tableau". Ben holds degrees in Mechanical Engineering (BSME, UCLA 2000) and Business (MBA, California Lutheran University, 2011) and previously worked in a Fortune 500 environment leading continuous improvement project teams, and training and mentoring other project leaders.